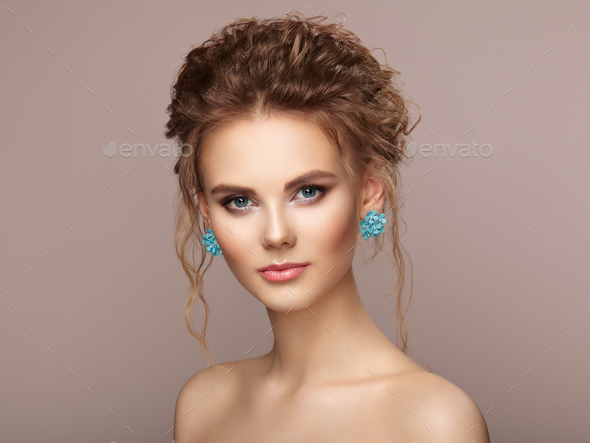 Fashion portrait of young beautiful woman with jewelry and elegant hairstyle. Beautiful model with curly hair. Perfect make-up. Beauty style model.